Today we have a guest post from Lauren Jennings, who has been living and working on Oahu’s North Shore recently. She provides us with her unique perspective on the best places to shop in Haleiwa to discover the true North Shore vibe. Of course you’ll probably work up an appetite while shopping, so Lauren also gives us great suggestions of places to grab a snack and energizing cup of coffee. As a former fashion designer and resident of New York City, moving to Hawaii was quite the culture shock. I came here seeking a more laid-back and down-to-earth lifestyle (which I found and cherish), but quickly found myself searching for bits of the big city on the North Shore. After living here for a couple months, I’ve sorted out my favorite places to eat and shop in Historic Haleiwa Town. I’ve edited out the typical souvenir and surf shops that line Kamehameha Highway and chosen the 5 best spots that are sure to please any fashion savvy visitor seeking a bit of culture and style. Hope you enjoy them as much as I do. As anyone can tell you, New Yorkers take their coffee very seriously. There may be a Starbucks on every corner in Manhattan, but a real city dweller has a favorite coffee shop with a barista that has their order memorized. I knew after moving to the North Shore that finding that was vital to my survival. 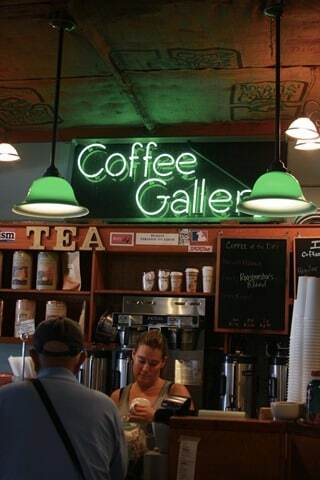 My savior: Coffee Gallery. Coffee Gallery is a lovely shop that has that laid-back Hawaiian vibe without compromising an authentic coffee house experience. They carry local island as well as international blends and roast every batch by hand. The baristas are friendly and experts at their craft. Coffee Gallery also sells teas, juices, smoothies, baked goods, and soups. There is free Wifi and a spacious sun-room for hanging out or working on your laptop. It’s a great place to start your day on the North Shore (and start it early! CG opens at 6:30am). Vintage shopping and drinking were two of my favorite past-times while living in New York, so imagine my delight when I found an adorable place that caters to both! Part vintage shop, part specialty wine and beer cellar, Bonzer Front is the most unique shop on the North Shore. 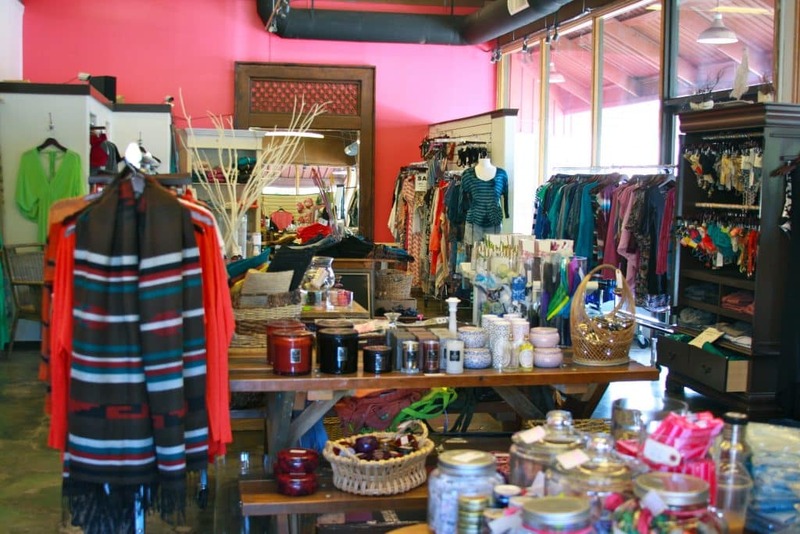 Owned by two sisters, Noelle Hayes and Megan Campbell, it is very well curated on both ends: only the cutest vintage clothes and accessories go in the front of the store and only the most quality spirits make it to their cellar in the back. They take special care to select wine from sustainable, organic, or family-owned vineyards from all over the world. Bonzer Front also hosts wine tastings, monthly get-togethers, and other after-hours events. Find them on Facebook to find out if an event will be taking place while you’re in town! Chances are you’ve got a list of family and friends that will be expecting a gift when you’ve returned from your visit to Hawaii. Aside from Kona Coffee and macadamia nuts, avoid the cliche souvenirs and find something equally as Hawaiian but heaps more unique at The Soap Cellar. 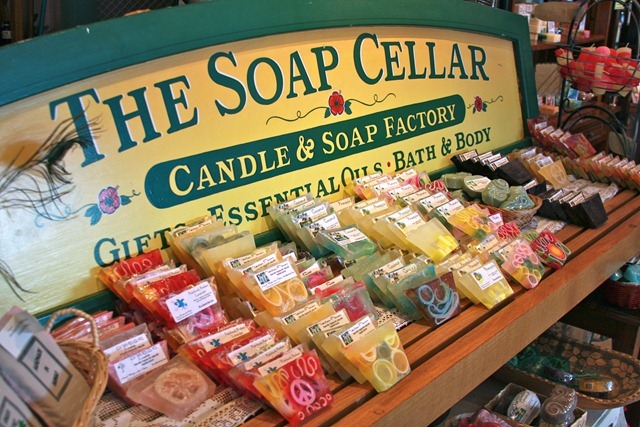 Although they’re also a great vintage and jewelry stockist, The Soap Cellar specializes in hand-made soaps, candles, bath salts, and incense. The owner Lori Soyland is careful to use only local, aromatherapy quality essential oils in all of her products. A plumeria or hibiscus scented anything or a pair of vintage seashell earrings are sure to please those landlocked folks back home more than a plastic dashboard hula girl. 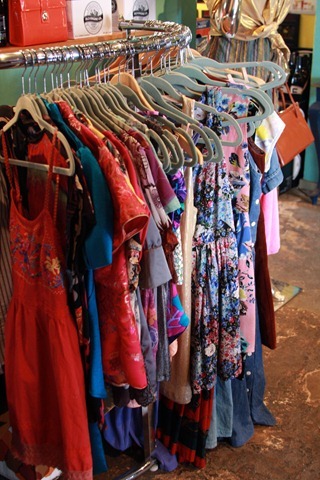 Trying to find chic, modern clothes can be a challenge on the North Shore. Most shops cater to the surfer and tourist while overlooking the fashionable lady. Guava Shop is the best exception. Owned by two best friends and North Shore natives, Liz Lerner and Kai Cost, Guava carries all the casual brands that I loved in New York but were made for beach living: Splendid, LA Made, Free People, Alternative Apparel, and more. Have room in your suitcase for that perfect maxi dress or an especially cool bikini? Need a casual chic hoodie for the island chill at night? Guava’s got you covered. Definitely the best style spot on the North Shore. I have to admit, I’m a little biased on this point (I work the counter at the bakery) but I cannot express enough how much I love this little place! Owned and operated by the Swim Family, the Waialua Bakery makes sandwiches, buns, cookies, smoothies, teas, and acai bowls fresh to order and entirely from ingredients grown on their farm in Waialua. 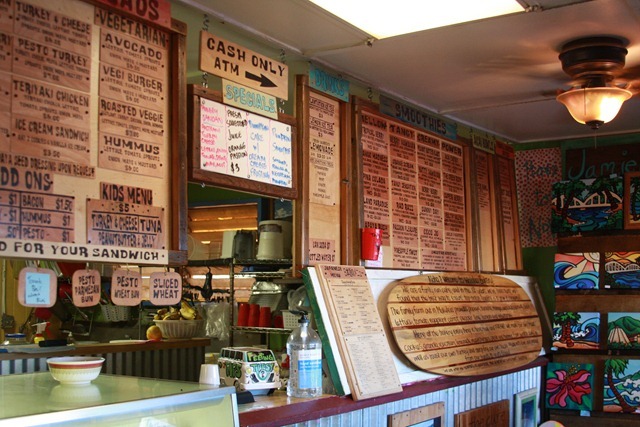 Customers gush daily about how Billy Swim’s sandwiches are the best they’ve ever had and locals can attest to the consistent quality. Try the bakery specialties, the Bakery Club or the Hungry Hawaiian sandwich. The shop itself is adorably decorated in vintage-inspired hand-painted art done by either the Swim daughters or Billy’s wife Jamie. Come in from the heat and enjoy a fresh, local, gourmet lunch and free WiFi with a pro-surfer or two! Stoked that’s stumbled on your list,I am going to every place!! Staying in Haleiwa and needed a nudge to know where to go, thanks a bunch!